The process of direct provision has continually sprawled and expanded over the past two decades and now encompasses over 40 different centers managed by private contractors. Of the 5,096 asylum seekers here in 2018, some have waited in cruel limbo—in a Catch-22 better likened to sanctioned internment—for up to 10 years. High percentages of recent arrivals have come from the likes of Syria, Pakistan and Albania, and include unaccompanied children and those fleeing life-threatening situations such as wars, political violence and persecution due to religion and gender. These individuals now remain in cramped communes across the island, living permanently in unsanitary hostels, mobile homes, and overcrowded B&Bs. An allowance of only €21.60 (about 25 U.S. dollars) is granted to them each week and almost insurmountable restrictions are placed upon their working rights. 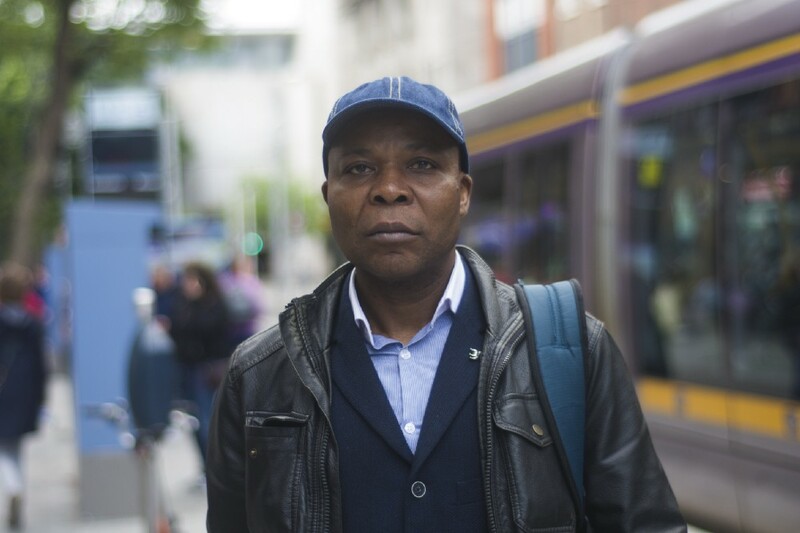 Until recently, asylum seekers’ right to work in Ireland was completely denied. However, in May of last year, Ireland’s Supreme Court ruled this ban as unconstitutional. Ireland was one of only two EU countries that still enforced a total ban like this, yet the government‘s attempts to counter this crushing discrimination have been largely insubstantial. In February 2018, Ireland ostensibly improved the policy with the Employment Permits Act, which on paper meant asylum seekers could now be employed, but in reality simply created complicated and restrictive criteria that was a far cry from a just solution. Qualifications and degrees obtained by asylum seekers’ in their home countries still were not be recognized, and they could not enroll in Irish universities. But despite these limitations, they were required to find a yearly salary of over 30,000 euro; employers had to give first preference to EU natives and pay 1,000 euro themselves for an asylum seeker’s work permit. Certain sectors—many of which would be the “easiest” to pursue, including social work, hospitality, and construction—continued to be totally off limits. Unsurprisingly, no application for a work permit was approved under these regulations. In response, a representative group named MASI (Movement of Asylum Seekers in Ireland) launched a “Right to Work” campaign, calling for a right to work without restriction or discrimination. A launch was held at Dublin’s Liberty Hall on Thursday June 14, ahead of the Irish government’s meeting with the EU directive later that month. Hundreds of supporters turned up as speakers likened their living conditions to 19th century human zoos. They explained the difficulties of living without money, privacy or independence, and called for more Irish support. Their efforts proved successful. On June 27 it was announced that laws were to be relaxed, thus granting up to 3,000 asylum seekers the right to work. This portion includes only those who have been in the State for nine months or more, and who have not had a first decision made on their refugee status. Changes were met with mixed reactions by campaigners, who criticized the restrictions that remain. Certain types of employment will still be off limits, such as jobs in the civil and public service, An Garda Síochána (the police force), the Irish army, and more. The IRC (Irish Refugee Council) has insisted that any resulting changes to social welfare benefits for asylum seekers must be carefully monitored as well. Asylum seekers still cannot obtain drivers’ licenses or open bank accounts. Last week one center even banned its residents from using their mobile phones at night. Clearly, despite progress being made, profound obstacles still prevent asylum seekers from establishing a live-able life in Ireland. The Right to Work Campaign will continuing fighting against the oppressive system, with hopes of permanently dismantling Direct Provision. Here are some of those who are calling for further action. 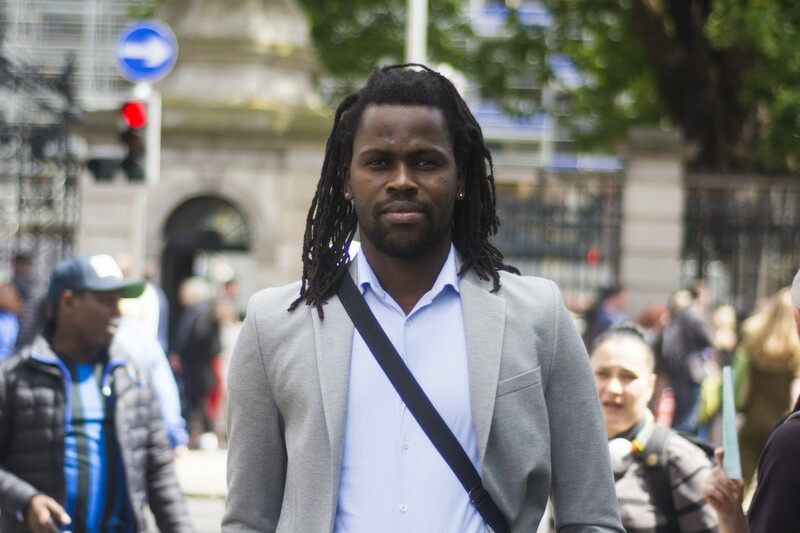 “My name is Bulelani Cornelius Mfaco and I came to Ireland from South Africa in 2017. Back in South Africa I had to plan my every journey to avoid harassment. Gay people have to stay familiar with their surroundings and know who they’re talking to. I lived there in a slum called Khayelitsha, which wasn’t even safe for straight people, so being gay meant I had a target on my back! Since becoming a democracy in 1994, South Africa has seen a huge increase in violence against minorities—particularly LGBT people. We are being stoned to death, or chased out of our homes and hacked with machetes. Neighbors are turning against their neighbors, and people are burnt alive while their children watch. As a result, thousands have been displaced. Just like me, they read the headlines and realized they could be next. A few incidents in particular swayed my decision to leave. One time eight years ago I went to a shopping centre to watch the World Cup on a big screen. A security guard approached me and wanted to know what was in my bag. I asked to speak to his manager, but that’s when things got ugly! I was brought to a staff room where a group harassed me. They started making remarks and hurling homophobic slurs at me while holding me against my will. I spent the next five years trying to get representation in my legal case against them. During that time a lot of gay people in my community were murdered. Someone was attacked on my college campus, a lesbian was stabbed to death and stoned, and another was abducted and murdered. A solicitor from the Irish Refugee Council helped me apply for International Protection. I left my PhD in public administration behind and moved to a direct provision centre in County Clare. I didn’t get to choose my roommate and found out quite quickly that mine was really homophobic. It became awkward to sleep in the same room as him, as he was always telling me how boys were supposed to be with girls. I was forced to defend my entire existence. I sent a complaint to the International Protection Office in February about people in the centre using homophobic slurs. They replied with an acknowledgement letter but have yet to do anything. Most of my interactions with the others are now are limited to ‘hi’ and ‘bye’. My meals are decided for me by government contractors. I’ve nothing to do during the day except take a bus to our nearest town to spend my 21.60 euro on toiletry essentials. As asylum seekers, we are unable to shape the course of our own lives—we’re completely in limbo! Unrestricted working rights would allow us to look after ourselves, provide for our own needs and get back our dignity. It would restore what has been stripped away while we’ve been warehoused. “My name is Ellie Kisyombe and I’m from Malawi. I came here almost 9 years ago to seek protection from problems at home that put my life at risk. The case is still ongoing so I can’t go into much detail, but it involved my parents and uncle’s lives being taken in tragic circumstances. Back home, I had graduated from a politics course and was working in EU Law while helping to run a family business. I knew Ireland was not ideal, but it was safe. The journey here was traumatizing—I was in such a dark place. Upon first arrival I didn’t have anyone with me and had to battle the system to bring over my children. I found myself in a rural Mayo centre with everything I possessed, gone. I was so full of rage, and suffering from depression. Luckily I managed to divert my pain into something that could help others—I began campaigning and finding my voice. First thing I did was go to a convent and ask the sisters to come teach English at the centre. They would pay us visits and help us grow vegetables in the garden. News of our shared garden started spreading, and soon I was moved to another centre. This happened a few times over the years—I moved around a lot. People knew me when I arrived, they would say “oh it’s the woman who likes fighting.” As a result I was asked to become a volunteer representative for the Irish Refugee Council. We started creating gardens in centres to bring communities together. 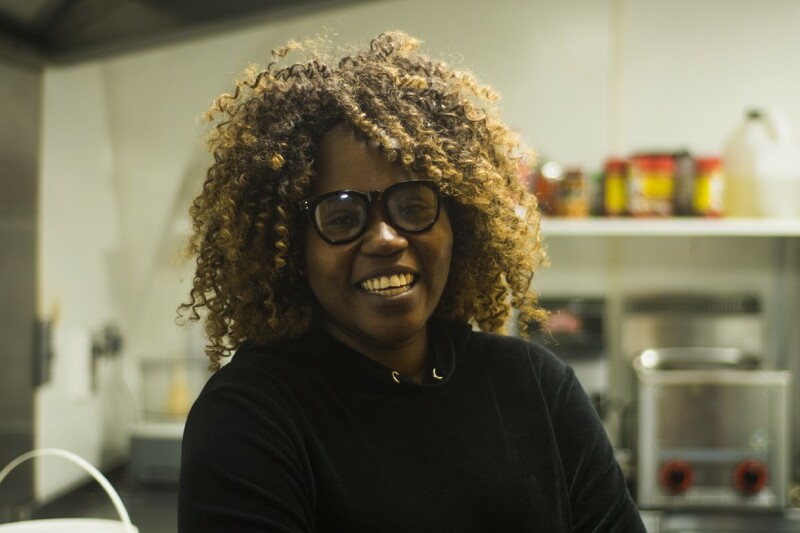 We wanted to cook with asylum seekers too, but struggled from a lack of funding. As fate would happen, a Dublin business woman approached my boss at the IRC in 2015 and said she wanted to help out, this was how my company OurTable all began. At our first meeting we asked “why don’t we do something big”? We planned a pop up shop at Dublin’s Christ Church Cathedral and it was a massive success. We fed over 750 people in one day! We followed that up with a pop up cafe in Temple Bar for three months in 2016. Afterwards I was invited by Irish celebrity chef Darina Allen to train at her cookery school at Ballymaloe. I look back on my time there as rebirth, it really brought me back. Every night in my dreams I started thinking “I can do this,” as asylum seekers across the country signed up to volunteer with us. I have yet to be paid a single cent—all the money goes straight back into the bank. That’s enough for me just to go out, make money for the company, and pay wages to my staff. We’ve launched side projects including hummus in aid of Repeal the 8th and our own brand of hot sauce. Nowadays we have 12 people on the payroll and 25 volunteers. It just goes to show how much asylum seekers have to contribute toward Irish society and how much we want to work. Forcing us into dependency has led to mental and physical health issues. A lot of people are dormant in the system, and will need therapy once they get protection! 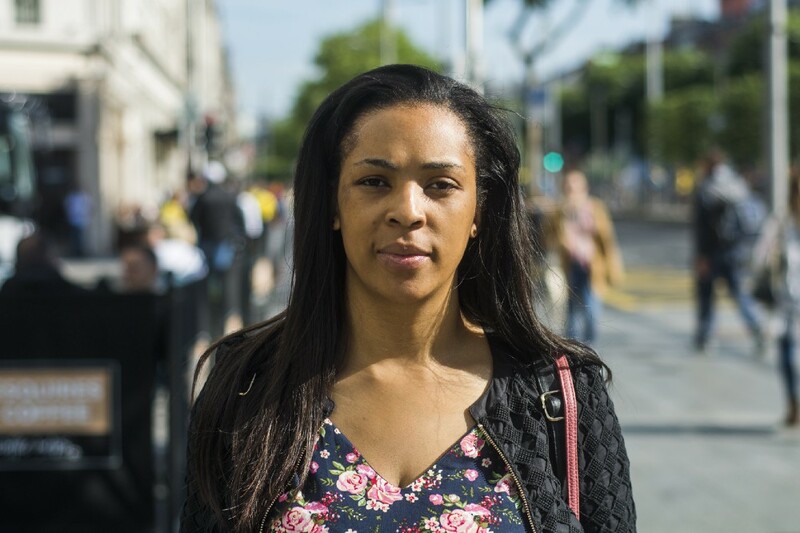 “I came alone to Ireland in 2015 following a violent attack in Malawi. It was related to political unrest and an assumption I was involved in matters which I wasn’t. You can see the scars that cover my body from that day; it’s really by the grace of God that I survived at all. A group of men had broken into my house and ended up leaving me for dead. I was unconscious in an intensive care unit for the 3 or 4 days that followed. I vividly remember the first conversations I had after waking up in hospital. They were with a doctor from Saint Andrews Medical School in Scotland. He said that in his 14 years of experience he’d never come across anyone that lost the same amount of blood as me and survived to tell the tale. Retelling the story makes me relive that day, and the trauma still effects me. I knew that my attackers would come to finish me off if they knew I was alive, so I had to flee the country as fast as possible. To be honest the way I got here had nothing to do with asylum seeking. Right then the only thought in my mind was to get as far away as possible. Upon arrival in Ireland, I was sent to the international protection office. My extended family back home had relied upon my IT job at University of Malawi. My mother, brothers, sisters, nieces and nephews all required my financial assistance. Obviously I can no longer help with the 21.60 I make each week here. I was first sent to the Mosney centre in County Meath. This is the best of all the Direct Provision centres, but I didn’t last there for long. During the Winter of 2015 I suffered from ill health and complained to authorities about how families get preferential treatment over others and said it wasn’t fair. I was moved to a centre known as “Guantanamo.” It’s in Limerick and gets its nickname because it’s used as a punishment for ‘trouble makers’. Life there is worse than the Irish prison system! You can’t even choose what time you wake at or what to eat. The attitude of the staff is the most painful part; you mean nothing to them. You’re spoken to in a demeaning manner and get punished if you react. Amnesty International have offices in Ireland and throughout my 3 years here I’ve never heard them condemn the system. It breaks you down; you’re not the same person, confinement creates continuous stress and causes you to disintegrate. How can Irish people possibly expect people in these conditions to act normal, or for our children to perform in school? People are granted protection completely at random. I know two men who came from the same country with the same story yet only one got his papers. There’s no criteria being used, the only thing they consider is the financial aspect. The interim measures brought in by the government were completely disingenuous; the government are not trying to help us. Momentum has been building for the right to work campaign since 2015 but now we must ask the people of Ireland for their help. 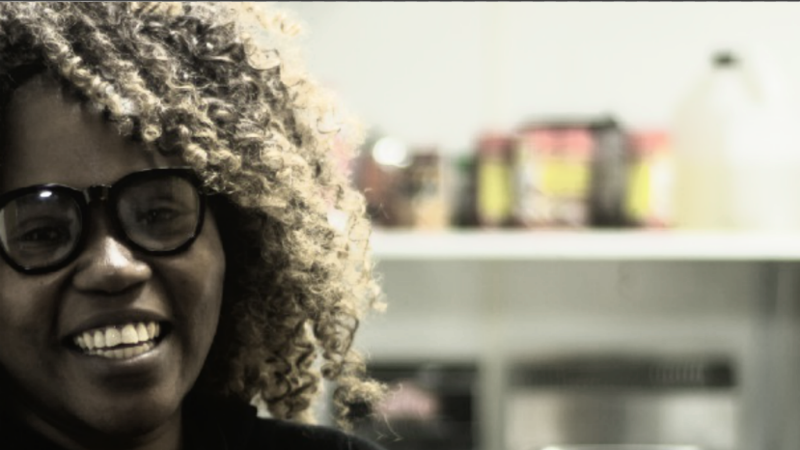 “My name is Donnah Vuma, I’m originally from Zimbabwe and was 15 years old when I moved to South Africa. At that time I was fleeing persecution from my country, but the ghosts of my past soon caught up and caused me to seek International Protection. The youngest of my three children was only four years old when we set out for Ireland. Leaving the country meant quitting my job as a sales and marketing manager. Ideally I’d like to continue in that profession here, but unfortunately my qualifications would not be recognized. Even after my protection is granted, to continue would mean starting from scratch. During my time in Direct Provision thus far, I’ve availed of some scholarship schemes including an undergraduate programme in University of Limerick. My classes have provided a welcome break from the monotony of life in the centre. However other problems cannot be escaped so easily, such as the quality of food we’re given. It’s absolutely terrible, so bad that my children and I have suffered with health problems. I’m anaemic and my dietary requirements are certainly not being met. There are about 400 people in the centre, 90% of whom are single men. It’s very rare for friendships to develop between anyone here. Cultural barriers are partially to blame, but mental health plays a big part too. People have been there for so long and don’t want to share their space any longer. It creates a tense atmosphere and causes people to keep to themselves. The friends that I’ve made in Ireland mostly live outside the centre; I’ve met them through community involvement and voluntary work. However, my children and other kids at the centre mostly keep to themselves due to the stigma that comes from living in Direct Provision. Costs involved in sending them to school have been crazy for us—almost impossible to meet. That is why I set up a community group in 2016 called “Every Child is Your Child.” The aim of the initiative was to create a back to school fund for children living in Direct Provision. It has been a huge success and we’ve been able to buy uniforms for 57 kids. Over the past two years I’ve awaited the outcome of my high court appeal. All necessary documentation from my country of origin was provided, so there’s no clear reason as to why it was denied at first. Throughout the process you’re never given a clear indication of where your application is and the threat of deportation is always present. People often get taken at 3 or 4 a.m. from their rooms and sent home. Threats of deportation are used to silence those involved in activism. That’s why we want people to endorse our campaign. Your influencers, your celebrities, we want them to come out in support of us. We’ve got to get the message across to people, the government can do better. Irish people need to start putting pressure on politicians and Irish employers need to start creating opportunities.